Sorry Folks, I don’t have any interesting stories to go along with this post. No story about cute kids calling it “sketti”. No stories about sitting in my Italian Grandmother’s kitchen while she loving prepared her meatballs. In fact, as far as I know, I don’t have any Italian blood in me. But what I do have is an appreciation for meatballs. 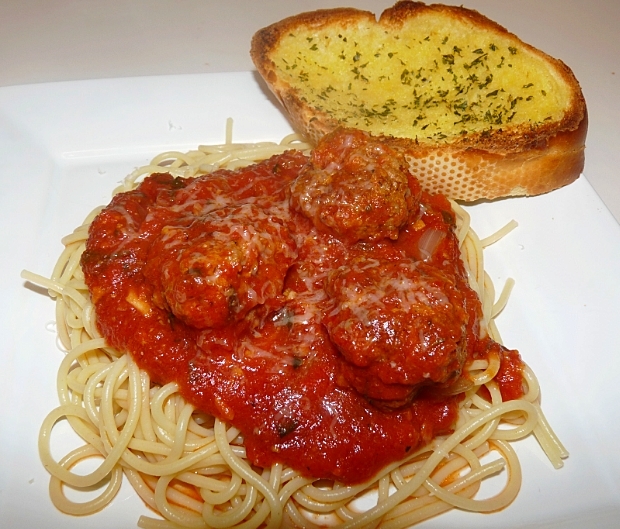 Growing up as a kid, I loved spaghetti and meatballs. I mean what kid doesn’t. As I grew older, my tastes changed and I began to experiment trying every dish on the menu. There wasn’t a plate of Italian food that I didn’t like. A few years ago, that started to change again. The spaghetti and meatballs that I had passed over as to plain, simple and childlike started to become a go to meal for me. Especially if I was trying out a new Italian place for the first time. There’s just something about it…what seems like such a simple item to prepare can be so easily screwed up in so many ways. Too dense, dried out, flavor less, too much flavor. The meatballs became a way for me to gauge the quality of the restaurant. I mean if they can’t get a meatball right, how can they possibly prepare more elaborate dishes? All that being said, I wanted to try my hand out at making meatballs. As critical as I am on restaurants, I knew this was going to be no easy challenge. After looking up countless recipes online and comparing them, I finally decided to go with the recipe from America’s Test Kitchen. After all, “America’s Test Kitchen is a real 2,500 square foot test kitchen located just outside of Boston that is home to more than three dozen full-time cooks and product testers. Our mission is simple: to develop the absolute best recipes for all of your favorite foods. To do this, we test each recipe 30, 40, sometimes as many as 70 times, until we arrive at the combination of ingredients, technique, temperature, cooking time, and equipment that yields the best, most-foolproof recipe.” If they don’t know what they are doing, who does? All the ingredients for the meatballs ready to be mixed. 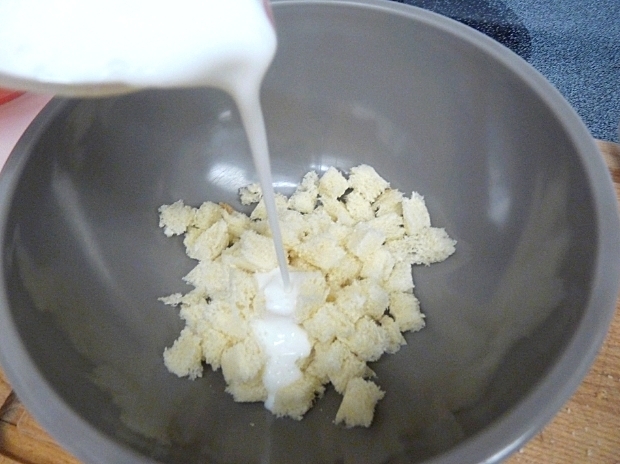 Combine bread and buttermilk in a small bowl, allow to sit for about 5 to 10 minutes, mashing occasionally with a fork, until a smooth paste forms. 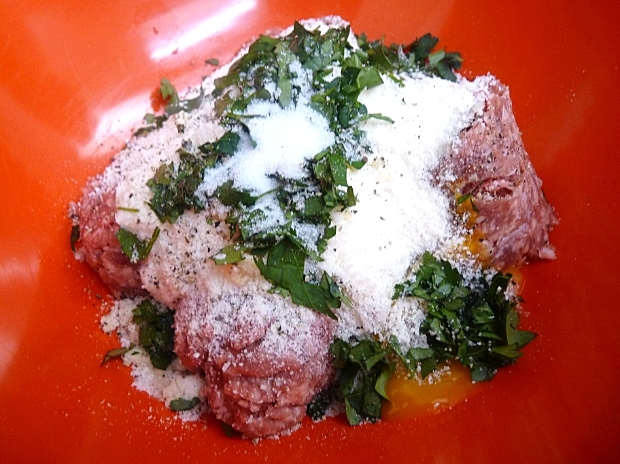 Mix all meatball ingredients, including bread mixture in a medium bowl. Heat about 2-3 tbsp of vegetable oil over medium high in a 10 or 11 inch non stick saute pan. Fry, turning several times, until nicely browned on all sides, about 10 minutes. 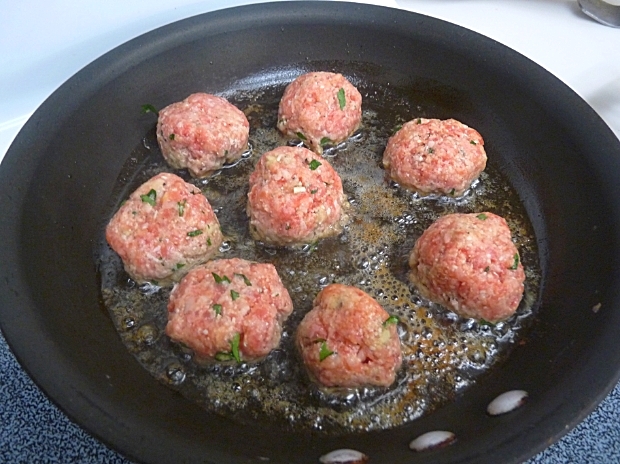 Transfer browned meatballs to a cooling rack and set aside. Repeat with remaining meatballs. Meanwhile, prepare your marinara sauce and bring to a simmer. When all meatballs are done, add to the sauce and keep warm over a low flame (We held ours for one hour as we weren’t quite ready to eat yet). The original instructions I found on the internet had you transfer the meatballs to a paper towel lined plate. For ease of cleaning, I can understand that, but I’ve never been a fan of moving hot and/or greasy things to paper towels. I prefer to let them drain on a cooling rack over a plate. All browned up and ready to go. My preferred method for resting foods. 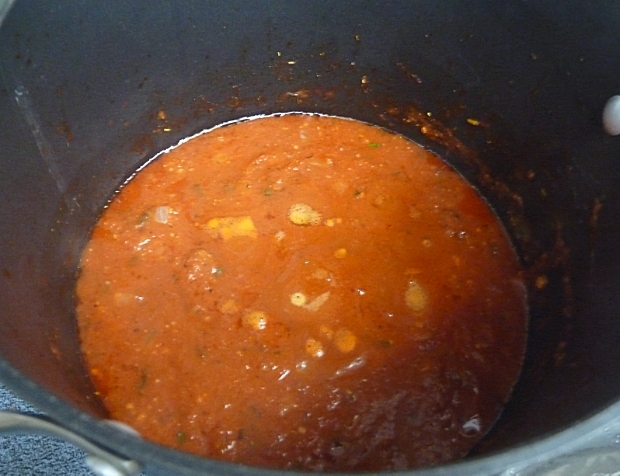 At this point, with the meatballs frying up and the sauce that Mrs. G was preparing, our house was smelling so good. What is it about just cooking onions and garlic can produce such a mouth watering aroma? America’s Test Kitchen really didn’t say anything about how long to allow the meatballs to simmer in the sauce. Just to keep warm over a low flame. At this point, neither of us were ready to eat and we knew that the flavors would only get better if they were allowed to simmer, so we let them go for an hour. That’s the kind of plate that makes me happy! I’ve eaten a lot a ton of meatballs in my time and I’ve got to say these were just about the best meatballs I’ve ever had!! And I’m not saying that to brag on myself. It wasn’t the skill of the cook. No, I give all the credit to America’s Test Kitchen and their hardworking staff and all the hard work they put into this recipe. 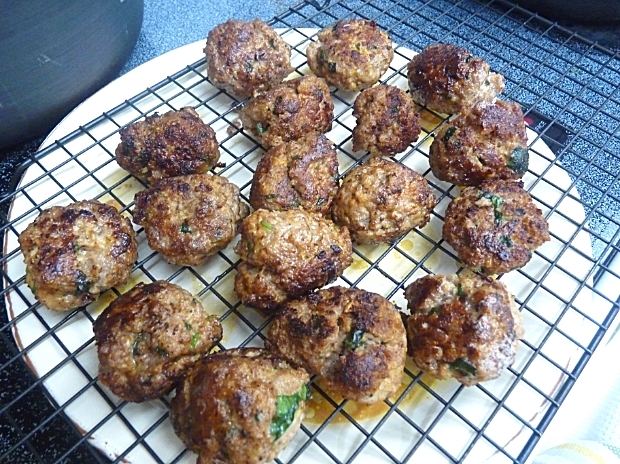 The meatballs were light and juicy, not dense and dry. I believe soaking the bread in the buttermilk was the key. They had just the right amount of flavor. Not enough to overpower the meat, but rather complimented it just right. I just wish we could have let it sit overnight and really let the flavors do their thing, but I do have some left over that I brought for lunch today. Can’t wait to try it. I have always been a big fan of ATK! Pretty much guaranteed good. We love spaghetti and meatballs here. Must try this recipe next time! 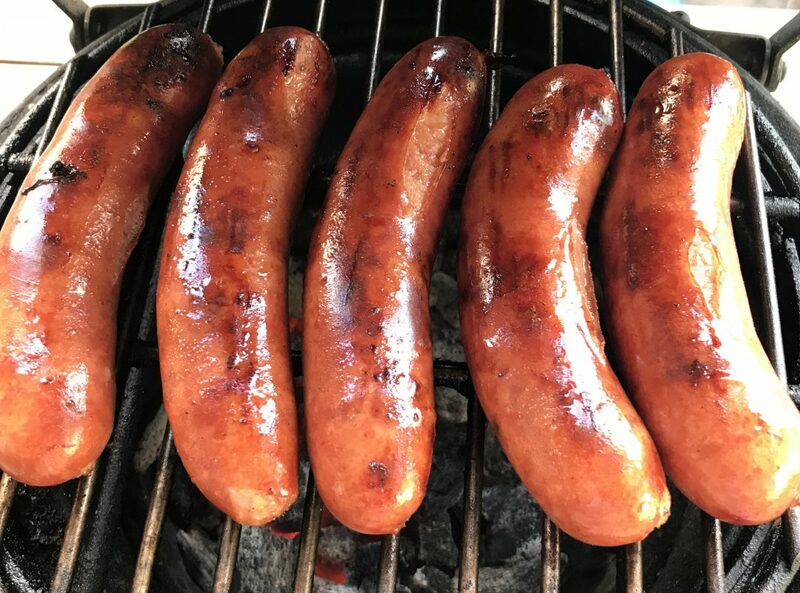 We use a very similar recipe, but always split the meat 50/50 ~ lean ground beef and bulk pork sausage. This great for the freezer, too! Nice photos, chef! 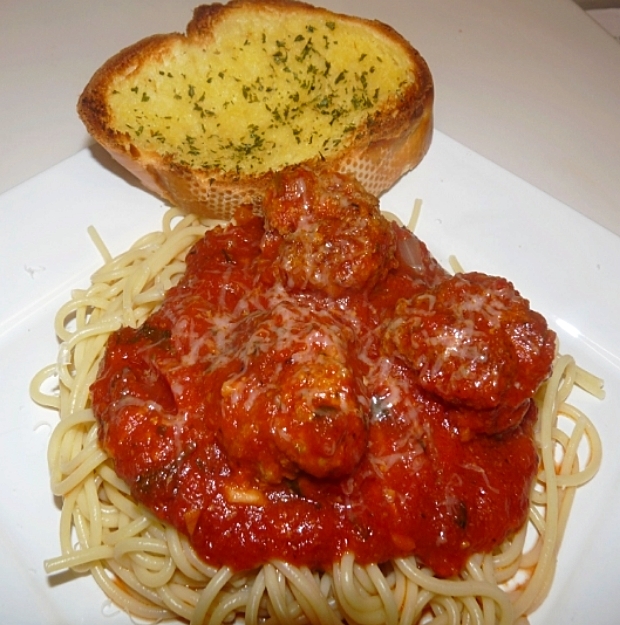 I’ve always been more of a meat sauce fan but these meatballs might change my mind… Adding to my To Cook list. I love listening to ATK on NPR on my way to work on the weekends. I love how they explain the chemistry behind things and why their tips work. I can’t wait to try this. Pinned it! I trust ATK and your recommendation makes it even better. Thanks, Chris. You pretty much can’t go wrong with an ATK recipe.